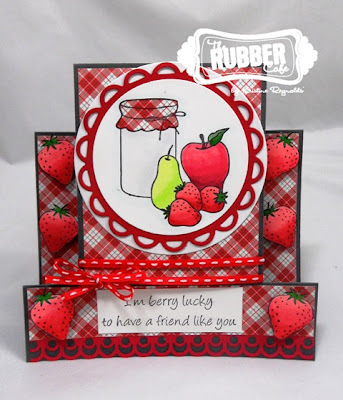 For my weekly Design Team post for The Rubber Cafe Design Team Blog I made a center step card to share with you using stamps from the Fruit Medley set. I have had in my stash forever. 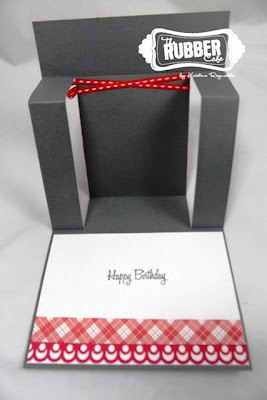 You can find step by step directions to make a center step card HERE. all out again each time I make one. I almost always paper piece the "material lid" on my jar when I use this image because I just love how it looks. I simply stamped that part of the image on a scrap of patterned paper, cut it out, and adhered it to the image with Scrap Happy Glue. 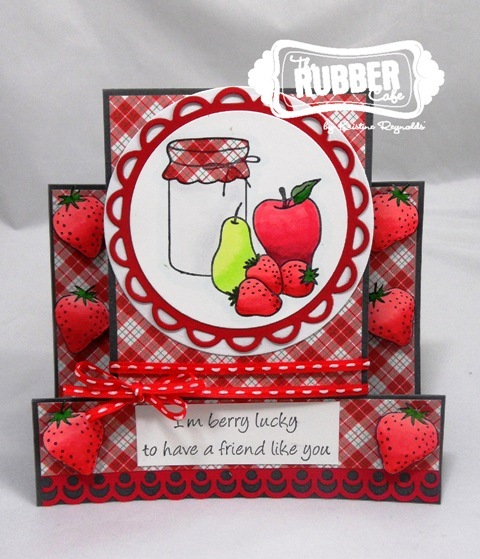 I used a Spellbinder die to back the main image. All the images were stamped on Pugnacious Signature white paper and colored with Copic markers. Here's a little closer look at the strawberries that I popped up on the card. and here's a look at the inside of the card. I hope you enjoyed my project this week. I enjoyed sharing it with you!!! Love the strawberries and great vibrant red color. Come on summer! I want to dive right in. Lovely card! So beautiful and bold! 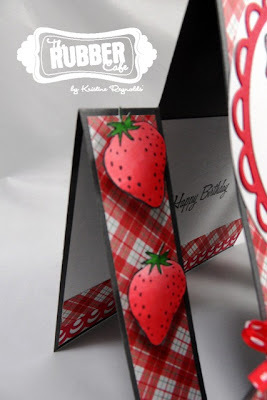 I love the strawberries and the design is just wonderful! Kristine, I just love how this turned out! 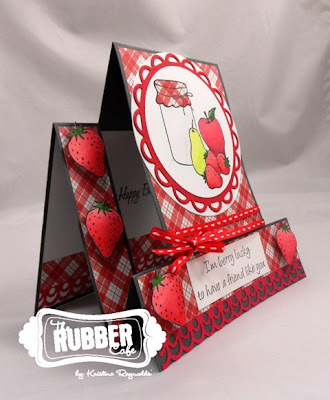 I have always loved these step cards and never yet made one! well done!! Yes come on Summer ... we need some warmth ... Very pretty card Kristine.